Elspie has been involved in property sales and lettings since 1994 and managed several high profile estate agency offices in Dorset for corporate agents before co-founding Red House Estate Agents in 2004. Elspie’s number one priority is ensuring Red House continues to provide excellent customer service, and believes this is the foundation stone for a successful business. Elspie Munro-Price is a licensed estate agent through the NAEA (The National Association of Estate Agents). Elspie Munro-Price is a licensed letting agent through ARLA (The Association of Residential Letting Agents). Whatever your property needs, Elspie will make sure you get a first class service from Red House Estate Agents Limited. Ian has been an estate agent since the late 1990’s, managing a number of offices in Dorset and Somerset for a large regional company before founding Red House Estate Agents Limited with Elspie in 2004. With responsibilities for marketing and advertising, Ian makes sure a property with Red House is a property which gets noticed. Ian is keen to ensure Red House is at the cutting edge of marketing technology and is particularly proud of how our .TV website showcases our vendors' properties. Ian Munro-Price is a licensed estate agents through the NAEA (The National Association of Estate Agents). 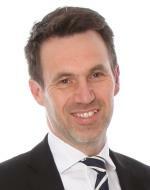 Ian Munro-Price is a licensed letting agent through ARLA (The Association of Residential letting Agents). Whether you are selling or buying, a landlord or a tenant, Ian is well placed to make sure your property experience is a smooth and successful one.